Four images out of the series of 110 drawings. All in black ink on paper, each 21,5x30 cm, 1994. This work has so far been installed as original drawings under glass) at the Rauma Baltic Biennale in Rauma, Finland 1994, and in Schleswig-Holstein-Haus in Schwerin, Germany 1996. It was the first drawing series exhibition work, of the type that would become known as"Psycho-Mappings". 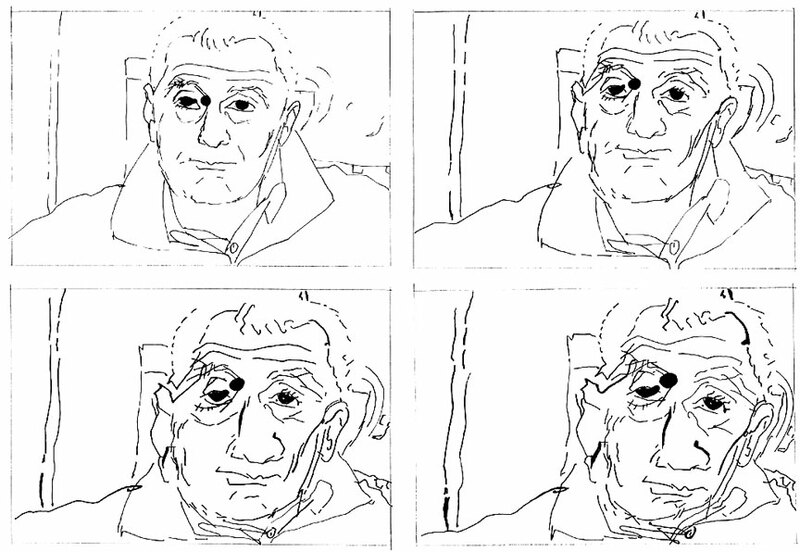 An video work has been made by JS using these drawings; it has its own catalogue text.